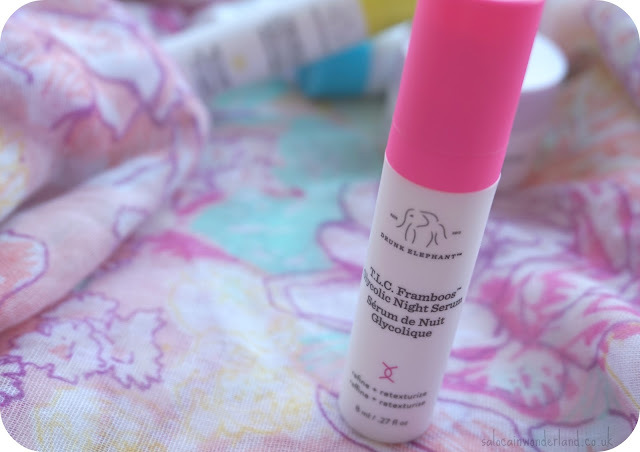 Over the last year or so, I’ve seen a lot of Drunk Elephant products popping up in the monthly favourites and most recommended of some of my YouTube and blogging faves - stateside. 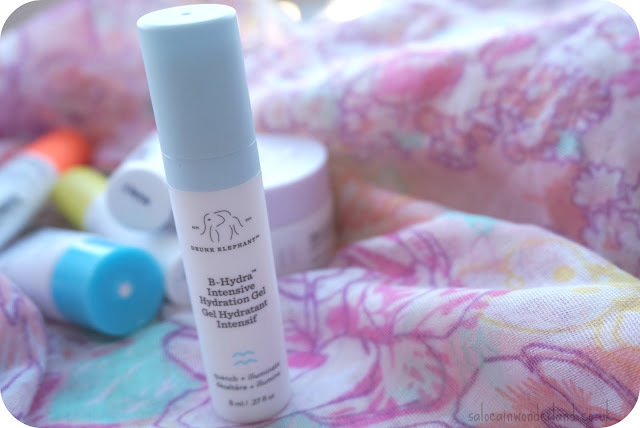 Drunk Elephant is on it’s way to the UK, date still to be confirmed, but of course, I couldn’t wait that long to get my hands on what is supposedly the holy grail of all grails when it comes to skincare. If we’re talking high end - hot damn, this is probably the most expensive skincare I have ever used! I was super lucky enough to be gifted Drunk Elephants ‘The Littles’ at Christmas. 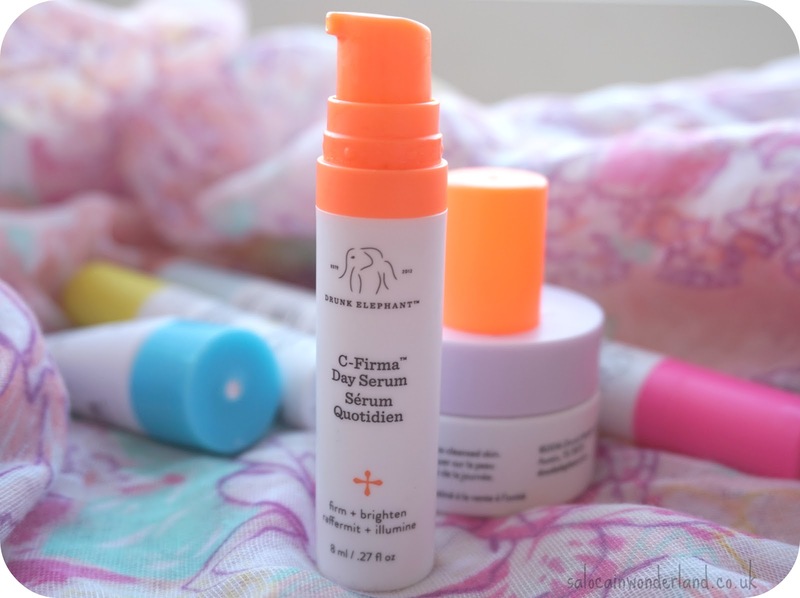 The Littles is a travel sized collection of Drunk Elephants 8 core skincare products. If you can get yourself to an American Sephora, you can pick this up for around $90 - for travel minis, these lotions and potions are not cheap! (It looks like they’ve changed the contents of the original Littles so some products may vary). A whipped cream blended with six African essential oils, it’s an ongoing moisturiser with barrier protection, ideal for dry skin. It went on my face like butter, melted in beautifully leaving no residue behind and really helped to sooth dry and irritated skin. The only bad word I have to say about it is that for the price (RRP $60 for 50ml) it doesn’t do anything out of the ordinary for me. It’s super nourishing and hydrating, but I can get that for half the price. Yes, the ingredients are a higher quality, no argument there, but when it comes to my beauty budget, I can’t blow it all on one product. Coming in at $90 for 30ml it is the most expensive product in the kit, but about the only one I am on the face for when it comes to making a purchase. This just did something to my skin that was downright wonderful. It smells awful, and is pretty strong (not well suited for sensitive skin at all) but I felt like it gave me a new face. Everything looked smoother and even and it did manage to fade some acne scarring along my jaw line (the 8ml sample size lasted me around 2 months). It’s a resurfacing gel that literally dissolves dead skin cells! During the first 2 weeks though it dried my skin out something shocking to the point where I was relegating it to the back of the drawer. A friend told me to stick with it, as your skin will get used to the glycolic acid - I was dubious but I took her advice and slowly, things started to improve. Once my skin was over the dry spell it took to the Framboos and looked fantastic, but I’m still not sure how I feel about the initial reaction - or the price! 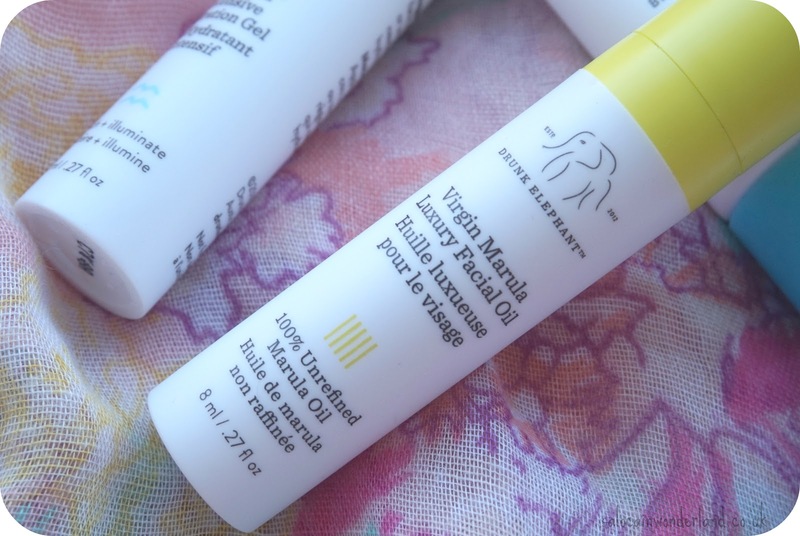 I took to using this twice a day, especially after how my skin reacted to the Framboos Serum! This went on like water but dried with a very tactile and sticky consistency that took a while to sink in - not great when your trying to rush out the door to work! It did a great job of making it possible to make actual facial expressions and smile though when my dry skin was at it’s worst. For dry skin, this is probably one of the best products I’ve ever used! $52 for 50ml is still steep but a little goes a long way and I reckon the full size one would keep me smiling right through Autumn/Winter. Oh dear. This was the one product I had the highest hopes for as I’d read and watched so many positive reviews for it, I was seriously expecting the results to end all results when trying this one out. As oils go, it’s lovely, I can’t deny that, but is it any better than others in my collection? Unfortunately not. $72 for 30ml is way OTT in my opinion. Yes, you are getting high quality ingredients but the likes of my Tarte Maracuja Oil ($48 for 50ml) gives the same, if not better results. The MOA Aphrodite Oil I used a while back (£22 for 30ml) gives equally nourishing and skin rejuvenating results. 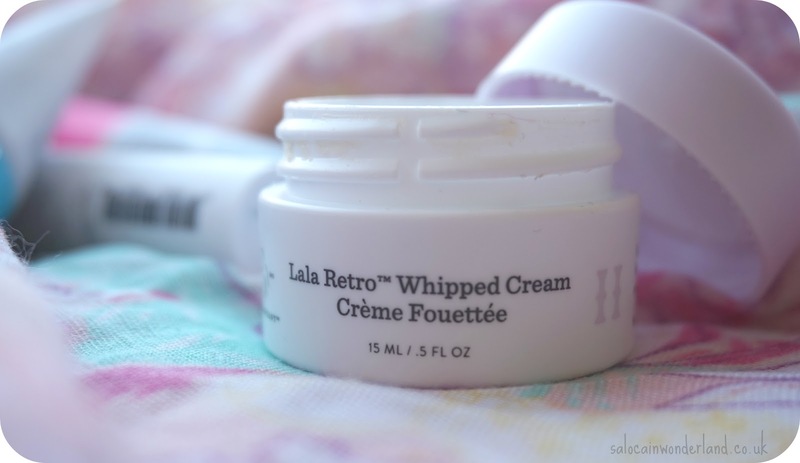 This was probably the one product I would love to be in a position to repurchase! Hands down it was my favourite! Jam packed with vitamin C, I had never thought of my skin as dull until I saw it after using this - hell as soon as it ran out I started rooting around my drawers for something, anything, that promised even half the glow this gave my skin! My skin was luminous without being ‘greasy shiny’ and it gave it a subtle sparkle that would catch in the light on pictures and just make my skin beam beautiful and bright. $80 for 30ml is way out of my price range but if I ever find myself stateside in the future it will be an instant holiday treat! The one product I expected to go through the quickest, I’ve only been able to use it a handful of times. Celebrated as a unique formula that won’t leave a ghost-white or greasy residue on the skin, bloody hell was this difficult to rub in! 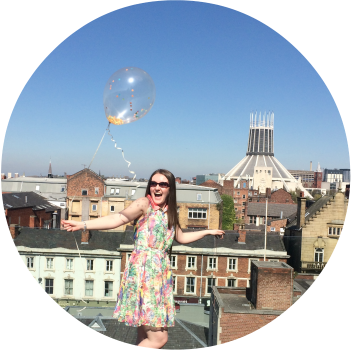 It went on like a suncream, felt like a suncream and left my face looking and feeling very shiny. After about 30 minutes it softened and lost some of the greasy shine. One thing I was quick the notice was after even a short amount of time spent in the sunshine, as soon as you started to sweat, this developed a very uncomfortable and noticeable sweaty sheen around my nose, across my forehead and upperlip. Not a good look for anyone. One thing I will say though is it made a cracking primer, and with enough finishing powder it lost that annoying sheen. The moisturisers and serums lasted me about 2 months with almost daily use, some a little longer but nothing went past 3 months except for the cleansing bars! The JuJu looks like it has barely been touched - and I’ve been using it 2 - 3 times a week for 4 months now! This isn’t going anywhere fast. One reviewer said their Juju and Pekee bars (full size) lasted them close to 12 months, so I can easily see myself getting 6 months+ out of my mini JuJu bar. This is the exfoliator of the duo with such fine, sand like grains it’s not abrasive or uncomfortable in the slightest but leaves me skin feeling so smooth and glowing. Without a doubt, I would purchase this one even if I had to pay for shipping! $28 for the full size bar, $28 for over a years worth of exfoliating? Someone just take my money! The daily cleanser of the duo, I use this once a day as my evening cleanser and it’s just lovely. I’ve avoided soap bar cleansers for some time as they usually do nothing but leave my skin squeaky and dried out like an old scabby sponge. The Pekee bar does the complete opposite! My skin feels like it’s been doused in moisturiser! My mini Pekee bar is about a quarter of it’s original size now, but I think I will easily get another 2 months out of it before it’s done. The cleansing bars are by far the best value products from the entire range if you ask me! 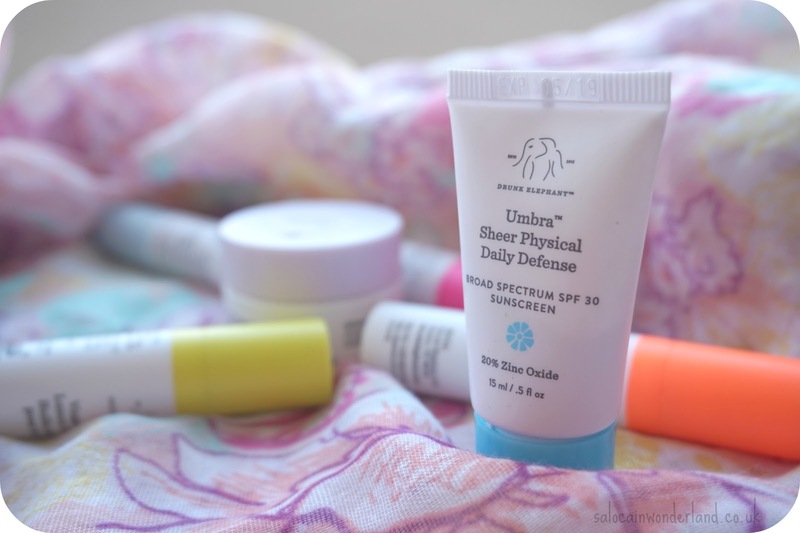 So there you have it, a very British girl tries some very American, high end, skincare. Even though most of the collection didn’t work for me, I genuinely had a brilliant time getting to know the products, the brand and having my own experience with it. I’ve found at least three products I would be happy to repurchase, especially when it finally gets its backside over to the UK - until then I’ll just have to keep sending friends and family with my Sephora shopping lists! 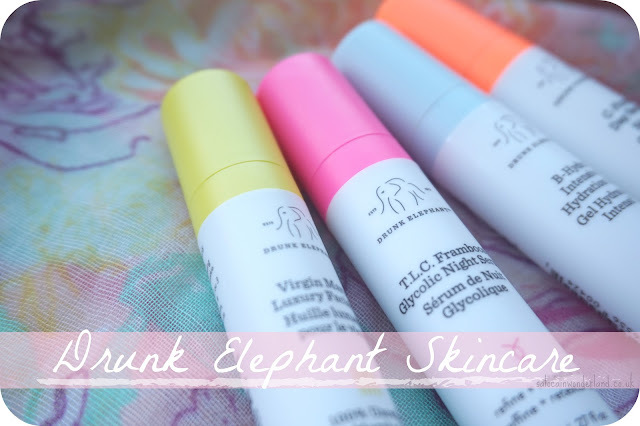 Have you tried anything from the Drunk Elephant line? What’s the most expensive skincare item you have ever tried - and how did it go? Hype or tripe? They might have other products that better suit your skin. I love the name of this brand. It's me! There are a few others that I really want to give a go but getting hold of them ain't easy - or cheap haha! If I can find another set like this with others in though I am all for trying it!